One day recently while rummaging through photos in my studio I came across an old, splattered on, dog-eared magazine photo I'd clipped out decades ago. As many times as it had crossed through my fingers during other studio clean-ups, I'd never thrown it away. 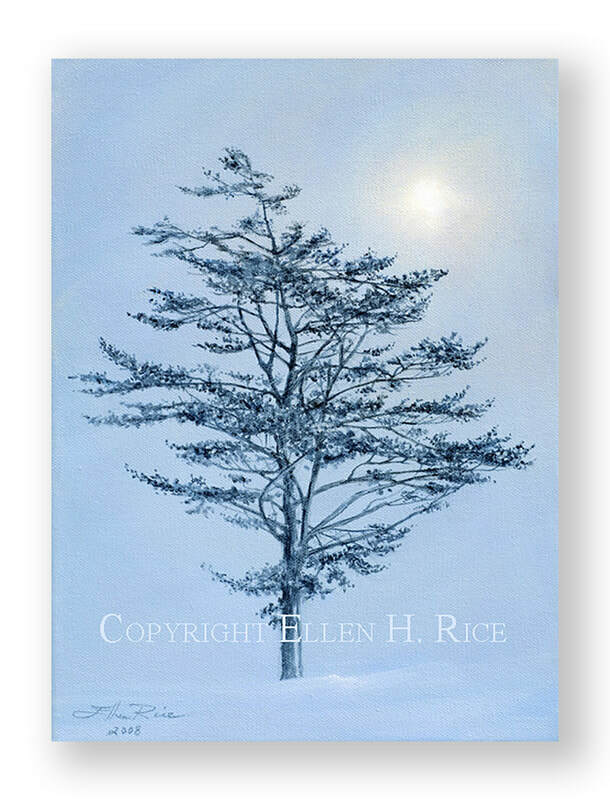 There was something about the peace and quiet beauty of this lone tree in the snow and the golden glow of sun or moon or star that made me hold onto it for a day when I would paint it. I decided that day had come and began the foundation glazes for Silent Night. It proceeded quickly, as quickly as old master's style oils can go when you have to let things dry a day or two between layers. ​The result is a painting I would have kept if it weren't for the fact that my artwork is my sole means of income. I hope it gives you the peace and joy it gives me.